Ohio Wesleyan is a liberal arts college that is nationally recognized for its community service efforts. Nearly every student on campus participates in some form of philanthropic activity each year. Students learn in an extremely active manner as the university firmly believes in offering students learning oppurtunities in real-world settings. 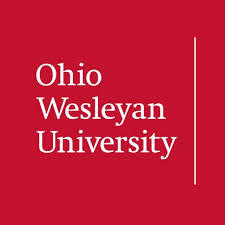 Ohio Wesleyan University appreciates the individuality and diversity of its students and believes that it is this diversity that teaches their students how to work cooperatively and successfully in a global community.